Built specifically for Divers, the 85 ft (28m) liveaboard Nortada has 5 English and Spanish speaking crew members who will ensure the Ultimate Dive Safari. 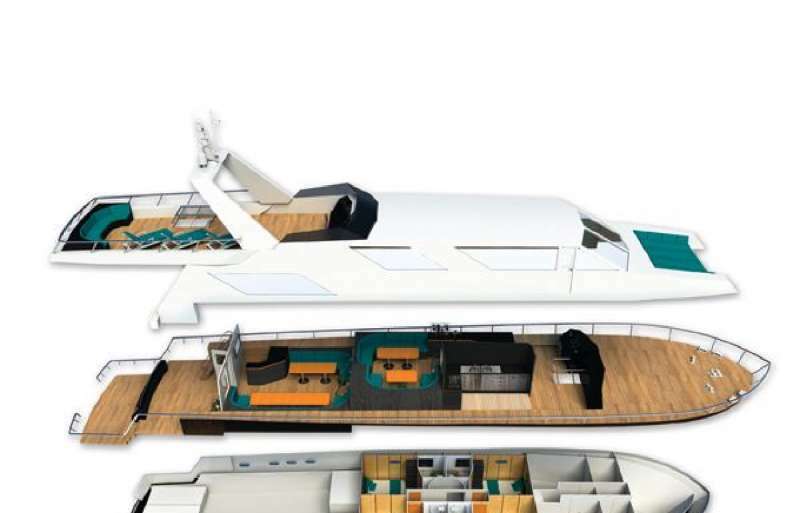 There are 4 en-suite cabins with private bathrooms all on the Lower deck, with 2 Single beds and 1 Single full-sized bunk bed. All the cabins include: air-conditioning, portholes, private bathroom with hot water shower, hand basin, toiletries and towels, reading lights, bedside cabinet and mirror, 2-pin US 110 electricity, bedding and luggage space, possibility for triple occupancy (third full size upper berth). Other Toys: When not engaged in the spectacular diving, guest of the Nortada can relax on the sun deck and take in the amazing vistas of the Galapagos Islands.